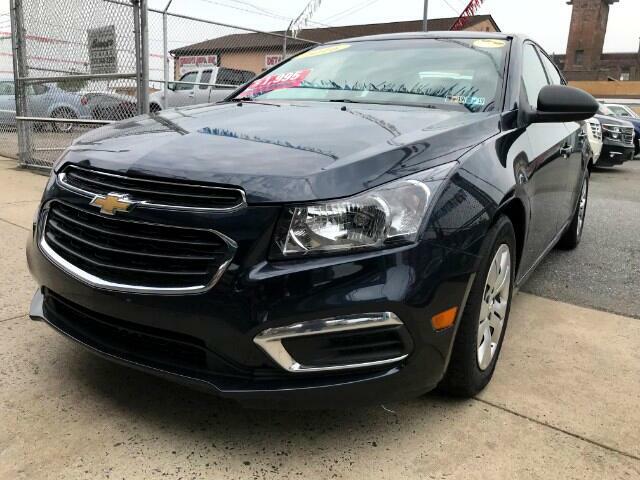 2016 CHEVROLET CRUZE LIMITED LOADED WITH CLIMATE CONTROLS, LEATHER WRAPPED, MULTI-FUNCTION STEERING WHEEL,AUTOMATIC HEADLIGHTS, AUX INPUT, BLUETOOTH, POWER ADJUSTABLE EXTERIOR MIRRORS, POWER DOOR LOCKS, POWER WINDOWS, ALLUM/ALLOY WHEELS AND MUCH MORE.........TIRES WITH ABOUT 90% TREAD LEFT ON THEM.............. CALL 215-288-5277......PRICE IS BASED ON $2,000 DOWN PAYMENT,PURCHASE OF THE EXTENDED SERVICE PLAN FOR 2 YEARS AND 24,000 ADDITIONAL MILES.......TAX, TITLE, REG. DEALER FEES ARE NOT INCLUDED.